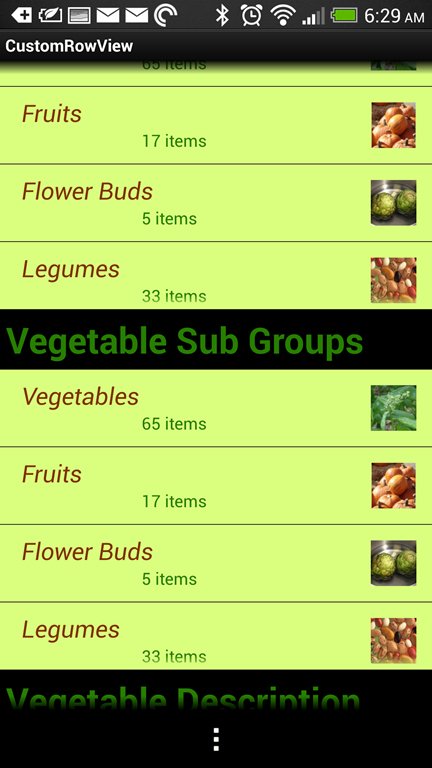 This will result in a screen that looks something like the following with the bottom list view as the only scrollable element and an inability to scroll down to the bottom TextView showing Vegetable Descriptions. 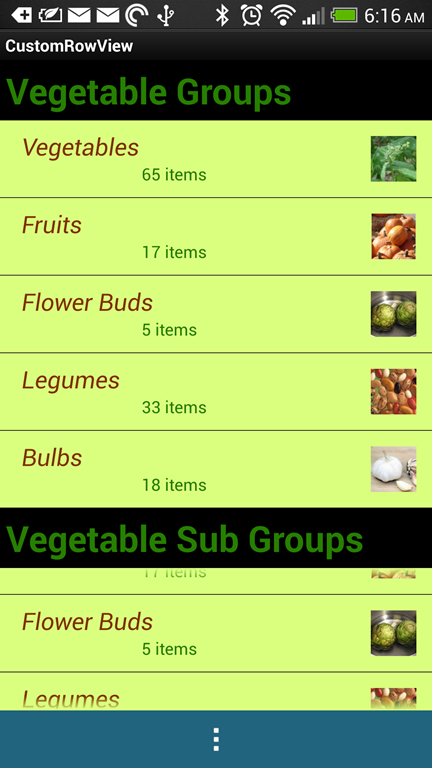 My next attempt to resolve this was to set the list views to a fixed height but the result is a little unexpected. For example if we set the list view heights to 250dp the scroll view will now operate properly but neither of the list views will scroll. Then I found this article which describes the use of the OnTouchListener to control how the layout scrolls when individual screen elements are touched. As I’m using Xamarin, most of these have been converted to events so I was able to attach a delegate and perform the same strategy as suggested in the article. This results in a screen that is scrollable when not clicking on the list views while still being able to scroll the list views individually. Thanks so much for this. So simple a solution after many hours of fiddling with this bizarre problem!